Hours ahead of the crucial World Cup qualifier against Italy, Bulgaria striker Valeri Bojinov has warned his team is capable of causing a shock on Italian soil. "I saw Italy play against Georgia, and this is not the team that I know," Bojinov told the Sky Sport Italia. "We have to stay calm and take our chances. This is not the team of the World Cup, we respect [Marcello] Lippi's men, but we are not afraid of anyone." 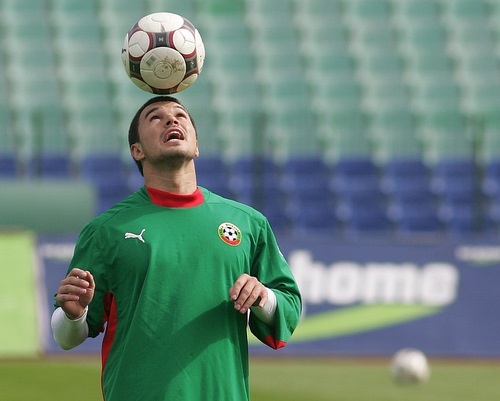 Bojinov feels the tension and strain will be felt by Italy, not his side. "They will be under pressure. We can go into the game relaxed as we have nothing to lose, and so this is an advantage for us," concluded the hitman. Bulgaria have 11 points from 7 games in Group 8, preceded by while Italy and the Republic of Ireland.